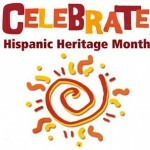 Westchester Library System Blogs » Celebrate Hispanic Heritage Month at your Local Library! Home > Articles, Library Events, Resources	> Celebrate Hispanic Heritage Month at your Local Library! Celebrate Hispanic Heritage Month at your Local Library! Check out just some of the programs being offered at Westchester libraries (below). For a complete list of local libraries, click here. Warming-up for Mexican Independence Day, the BID Family Market Day will take on sounds and tastes from South of the Border. Families can enjoy live performances of regional music and dance by Mazarte Dance Company, sample tastes from downtown Mexican restaurants, make miniature piñatas and colorful tiles to take home, AND visit the many other Grand Market vendors. BID Family Days Go Global for New Rochelle’s 325th Anniversary! BID Family Days are made possible by a partnership with the New Rochelle Downtown Business Improvement District (BID) in conjunction with the Library, City School District and Parks & Recreation. Also known as Padre Nuestro (Our Father), this 2007 Argentinean-American thriller film relates the story of Diego, a young Mexican boy who smuggles himself to Brooklyn to meet his long-lost father, but whose identity is stolen by an impostor. The film was written and directed by Christopher Zalla, and stars Jesús Ochoa, Armando Hernández, Jorge Adrián Espíndola, and Paola Mendoza. In English and Spanish, with English subtitles; 110 minutes. Ossie Davis Theater. Free. The 2011 drama directed by Chris Weitz stars Demián Bichir as Carlos Galindo, who always dreamed of a better life for his wife and newborn son when he crossed the border into the US. But when his wife left him, Carlos’s only goal became to make sure his son Luis was given the opportunities he never had. In English; 97 minutes. Ossie Davis Theater. Free. As three of the thousands of Latina immigrants working as nannies and housekeepers in Los Angeles, Judith, Telma, and Eva have all left family and friends behind to come to America. Maid in America reveals the challenges these women face as they pursue the American Dream, their significant roles in American households, and the globalization of motherhood. The award-winning documentary was directed by Anayansi Prado was screened nationally on the PBS Independent Lens series (2005-06). In English; 58 minutes. Ossie Davis Theater. Free. The sixth annual Day of the Dead observance presented by Calaveras y Diablitos artists will feature a two-story high Tree of Life with an ofrenda, elaborate papier-mâché figures, tissue cut-outs and other traditional symbols of this ancient tradition celebrating late loved ones. Lumen Winter Gallery, during regular library hours. This is not the classic Tale of Little Red Riding Hood. Come see the classic twist in this free bilingual play with music for the whole family! Lite refreshments and free books for children. All ages are welcome to join them for a free fun-filled event that includes Zumba, traditional Peruvian dancing and food from local restaurants.